I’m obsessed with branding. From colours, to ways of writing, to a brand's sense of humour... and don’t get me started on clever catch phrases. For an industry that’s called the beauty industry, I think it’s pretty fitting that we talk about the branding problem: lots of beauty brands are flat, lifeless, and lacking personality. Are they beautiful? Maybe. Do they mean something? Probably not. Is this damaging to a business? Hugely. 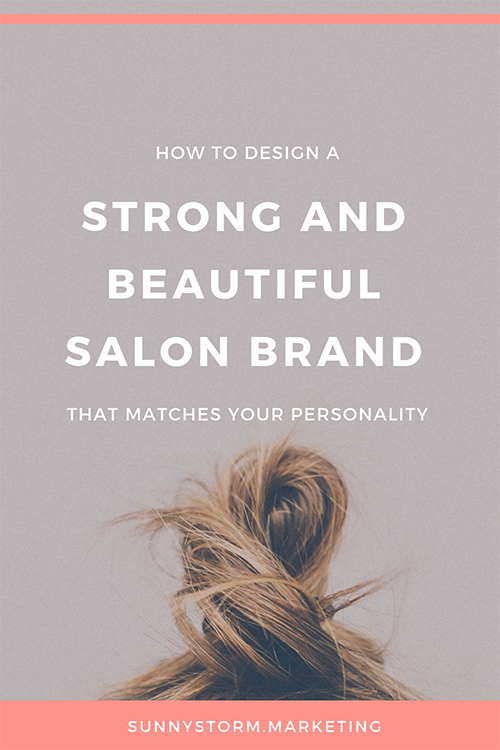 In this article I show you why branding is so important, and how to create a solid base for your salon's brand by defining your "perfect client" and your "salon personality". If you have a salon you’ll want to listen up. Because you need a fantastic brand, and it’s something that you can start on now. It’s just about stepping back and getting perspective on your business, and then turning that into something beautiful. Take a look a beauty company we all know, and the strong brand they've created: A brand goes all the way from something “untouchable”, like how you communicate with your clients, to something very visual and practical, like your logo. Okay so let's say you have a logo. You write the first thing that comes to mind on your Facebook page. And you already choose bright pink as your accent colour. Does this mean you have a strong brand? Well that depends. Do these things reflect your personality and attract the right people to salon? If the answer is "no", or if you're not sure, read on. Competition is fiercer than ever. A brand is what makes you stand out. It forces you to identify your “ideal client” and gives you rules and ways of communicating with them. It helps attract the right type of people, your "tribe”, who identify with your values and brand. You’re making things that you identify with personally, which makes everything funner, easier, and better. And there are actually serious consequences if you don’t create a strong brand. You might have found some of these in your own business. You’re not competitive: Whatever you do can be copied and maybe even improved by your competitors. You’re confused about what to do: Every time you have to make or write something, you’re scratching your head. You’re not coming across clearly: Communication becomes more difficult because you’re saying the wrong things to the wrong people. You don’t stand out: You blend in online, because you just do what’s easy or what everybody else is doing. You’re not consistent: You change your designs depending on what’s “cool” or in style at the moment, at the risk of being wishy washy and inconsistent. If you've ever experienced these kinds of issues in your salon business, you likely have a branding problem. But don't worry, we have a recipe to fix that. This means that your brand should be defined by a mix of who your perfect client is and what your salon personality is. Mix these two together and you have your brand, which is then expressed through visual means like a name, logo, and colours. In this article I’m going to teach you how to do both, and by the end, you’ll have a crystal clear, diamond-hard personality for your salon. Then you'll use this to create anything from a stunning logo, to a colour palette, and more. If your target client is a 55 year old, upper middle class lady living in the suburbs, is she going to identify with this? And if your target client is a funky, hipster, tattooed 30 year old city girl, is she going to identify with this? Do you see the point I’m getting at? You absolutely cannot sell and market to everyone, and trying to cater to everyone will only leave you scratching your head trying to find clients. But once you know who your ideal client (also known as your target market) is, you know where to find them and how to communicate with them. You’ve also put yourself leaps and bounds ahead of competitors who are still trying to sell to everyone that bites. Get yourself a scrap of paper or open up a new doc and scribble down your answers to these questions. Who do you personally identify with and relate to best? Who have your competitors gone after? What are your services and prices, and who do they align with? Is there an underserved market opportunity in your city that your competitors have ignored? The last “stunning” review you got - who was it from? If you were to bump into your perfect client anywhere, where would it be? Running at the park? In line at a local coffee shop? Pumping iron at the gym? Geography (down to neighbourhoods): Where does this person live? And don’t forget that you don’t have to answer to all of these. Maybe your perfect client is defined more on their interests and beliefs than their age. The truth is that all businesses have a personality. It’s just that many of them can be described as corporate, un-human, boring, and unattractive. And in the salon industry, which is all about human contact and beauty, that’s exactly what we don’t want. So what exactly is a salon personality? It’s the heart and soul of your business. It’s how you express yourself. It's almost like defining a person. If your salon were a person, how would she or he dress, talk, act, and think? Let’s think about your “why”. This is the most pure, honest, and strong part of your brand. Because it comes from you. Answer the following questions about your salon. Why do you provide the services and products you do? How do you want to improve your clients’ lives? Why is what you’re doing important to you? What does your team stand for? (or better, what is “typically done” in your industry that you can’t stand or don’t like). Choosing who you don’t want to be can often be as powerful as who you want to be. If someone were asking you “how is your salon different from xyz competitor” what would you say? Another good question to ask yourself is: "What do your clients get out of coming to see you? What do they appreciate about your salon that they can’t get anywhere else?". What colours should you use in your designs? It depends on what kind of vibe your salon wants to give off. 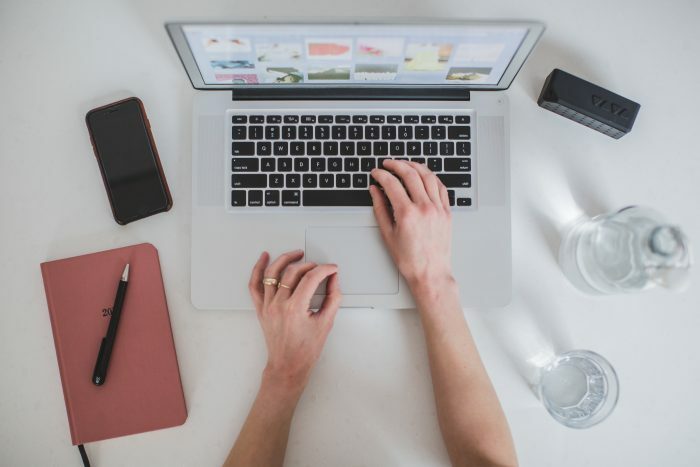 What should the first headline on your website be? Well, what does your perfect client want to read? Does your logo need to be updated? Does your current logo speak to your values and unique traits? What kind of pictures should you post on Facebook? Knowing what you do about your target client, what do they want to see? If you've been following along, the base of your brand has been defined. Now it’s time to turn your salon personality into a living, breathing brand. Download my free eBook that details how to create a million dollar brand for your salon. You’ve already done half the work using this guide, now let’s make your salon personality come to life!